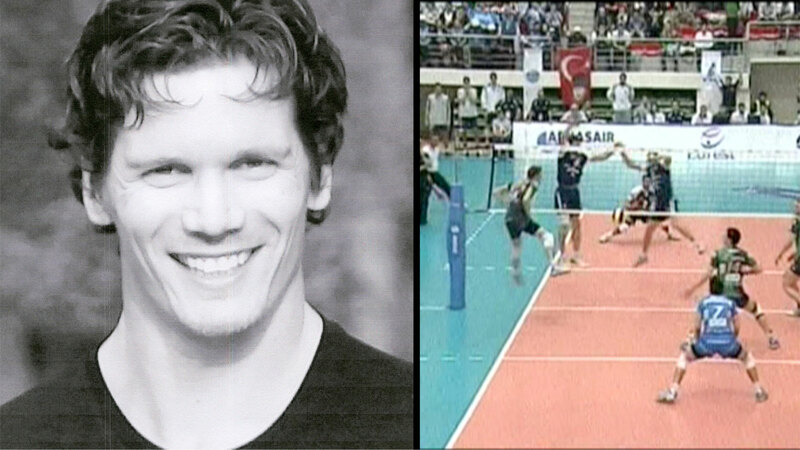 There is no other way to portray this homegrown hero, argueably the most outstanding volleyball player ever produced in Canada and one of the world’s elite players in his sport. From his formative days growing up in suburban Oakridge it was apparent Paul was a natural athlete and that volleyball was his game. At age 18 he made the gigantic move from Oakridge Secondary School to the Canadian National men’s team. A staggering jump. From that point it was a quick rise to stardom as a player in World Cup, Pan-American Games, and Olympic qualifying competition interspersed with a scintillating professional career in Europe. Paul retired at the end of the 2010 season but only after forging some impressive credentials. His suitcase bears stickers mostly from such volleyball hotbeds as Fellback Germany, Knack Roeselare Belgium, Poitiers France, Paris France, Santa Croce Italy,and Izmir Turkey. Professional volleyball is a major league sport in Europe and it attracts crowds of bigtime proportions much similar to soccer. Teams have a vast following and their star players are headline grabbers at every competition. really stepped to the fore. 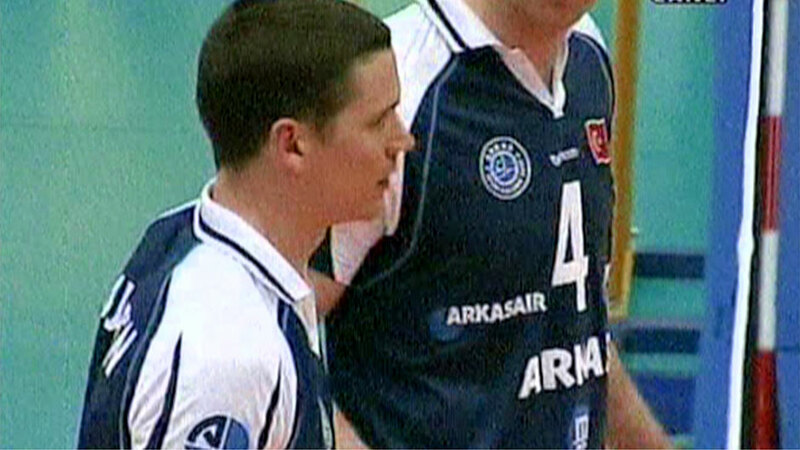 In 2000 he was named best blocker MVP when his team won the prestigious CEV Cup. 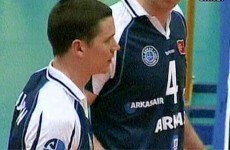 The following year the Paris team won the league championship, were Cup champions, Super Cup champions , and captured the Champions League title, the Stanley Cup of volleyball in Europe. They also won the Super Cup where Paul was the best scorer and MVP. Other major achievements include playing in six world championships, winning a bronze medal at the 1999 Pan-Am Games in Winnipeg, finishing fourth with Canada in the 2008 Olympic trials and winning the Turkish Cup with the Arkas Sports Club. 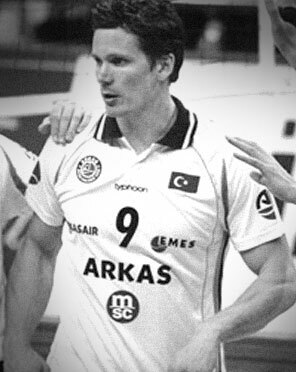 He was MVP as Arkas won the European Challenge Cup which meant that Paul played on teams who won all of the European titles. Paul has returned to London where he and his wife Kari have opened a training centre called Empower. The couple has five children. 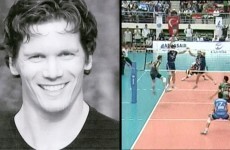 Paul Dureden is truly the face of volleyball. The London Sports Hall of Fame is proud to welcome him in the athlete modern category.